Scams around bike sales are as old as motorcycling, but as the riding season begins and more people start shifting their bikes, scammers and thieves are rubbing their hands with glee. With a huge surge in online sales, rather than old school classifieds and face-to-face, it gives massive opportunities for scammers. In a recent twist on an old classic, a person advertises their bike for sale on an auction site and is contacted by a prospective buyer. The buyer usually works off-shore or far enough away to be unable to come and collect the bike so they offer to pay for a courier. A price is agreed, often a little higher because of the inconvenience, and the buyer says they will make a payment by PayPal as it’s seen as a trusted provider. Ten minutes later, an email arrives confirming payment. Then the next day the courier turns up, you hand over the bike and everyone’s happy – until you come to withdraw the funds and discover nothing was ever deposited. What scammers are now doing is creating fake payment emails that are extremely accurate. They often say they’re from PayPal, the only give away being the sender’s domain name is incorrect, being payments@ppl.com or similar. With the paperwork in hand the thieves are then quick to either sell the bike on, or export it out of the country. Luckily there’s a few things you can do to keep safe. So how do I stay safe selling my bike online? For a start we’d recommend avoiding electronic payment methods for expensive items, like bikes – the seller protections they offer usually require certain proofs (proof of delivery for example) which are difficult to meet if selling a vehicle. Where possible, stick to good old fashioned cash, or a bank transfer – these aren’t without their pitfalls either, but they’re often much easier to spot. 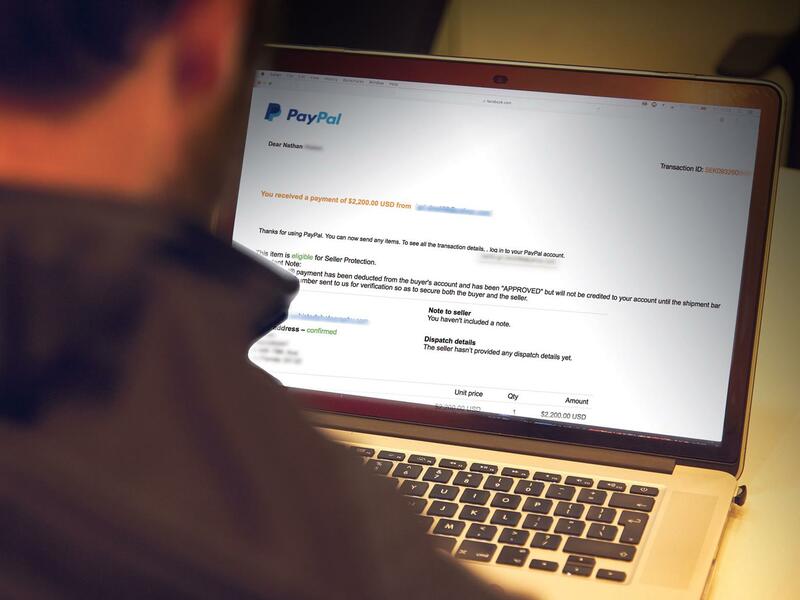 If you do accept PayPal, don’t just rely on receiving an email saying the funds are in. Log in to your account and check your balance before handing anything over and whatever you do, don’t click on the ‘My Account’ link in the email. If it’s not genuine, not only will it send you to a fake site showing the non-existent funds, the scammer will also harvest your genuine PayPal log-in details, which they can then use to make purchases from other unwitting buyers.